Here’s some good news: compared to ten years ago, people in their 90s are doing much better health-wise. This revelation comes on the heels of a recent study completed at the University of Southern Denmark. Scientists at the Danish Aging Research Center studied 93 year-old seniors born in 1905 and compared them to 95 year-olds born in 1915. What they found was encouraging: the 95 year-olds scored better on both mental and physical tests. 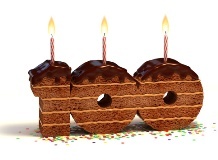 These soon-to-be-centenarians had sharper thinking skills and were better able to perform simple daily tasks such as getting up out of a chair. The research team compared results for almost 4,000 participants. The results definitely seem to suggest that not only are people living longer, but they are doing a better job of it. Quality of life seems to be improving in older adults. The research team is suggesting that all the gloom and doom about the baby boomer generation becoming old at the same time and costing enormous amounts of money, resources, and government assistance, may not be as bad as people think. If the trend shown in this study continues, older seniors will have fewer physical and mental problems that we assume will plague all baby boomers. What was responsible for the better health measures in the 95 year-olds enrolled in the study? The research team attributes their robust health to better diets at a younger age, exercise, and education to boost brain performance. But now, for whatever combination of reasons, our lives are sustaining themselves in a way not seen in earlier generations. We may get sick just before the end but many of us will be free from long term struggles with our health. We will hopefully be on our feet to enjoy a few of the pleasures life has to offer instead of being stuck in bed, heavily medicated. Certainly, this is born out in recent statistics. More older seniors are remaining in their own homes than ever before, for example. This is different from forty years ago when most seniors would move into the homes of their adult children. It seems that seniors are doing better at caring for themselves. They are able to cook their own meals for longer, clean their homes, and even take care of their finances. If eating well, getting exercise, and staying mentally and socially active can keep you from being stuck in bed and needing 24 hour care, it’s certainly worth the effort. This seems to be the approach to old age many people are now adopting and reaping the benefits of. “Living longer and better? Study suggests yes,” CBC News web site, July 16, 2013; http://www.cbc.ca/news/health/story/2013/07/16/aging-brain.html, last accessed July 29, 2013. Sifferlin, H., “We’re Living Longer — and Healthier,” Time Health and Family web site, July 29, 2013; http://healthland.time.com/2013/07/29/were-living-longer-and-healthier/, last accessed July 31, 2013.